I have been re-reading many of my favourite classic books lately - there is definitely a reason why they are called classics. 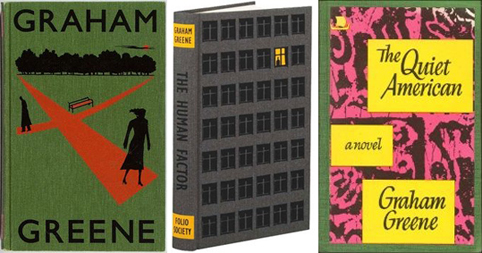 One of my most cherished authors at the moment is Graham Greene. While many of his books are not of the subject matter I would normally choose to read, there is something about all of his main characters that resonates so beautifully for me. They are wonderfully nihilistic in the most comfortably resigned way. If you have never read Graham Greene before "The End Of The Affair" is an absolute must. It really is one of the most beautiful and honest books on love ever written. According to Wikipedia Greene suffered from bipolar disorder which had a profound effect on his writing and personal life. In a letter to his wife Vivien, he told her that he had "a character profoundly antagonistic to ordinary domestic life", and that "unfortunately, the disease is also one's material". I am currently listening to the audio book of "The Human Factor" which is essentially a spy novel of the mid to late 20th century, that has some of its plot line based in Apartheid South Africa. I love some of the mid-century cover designs of his early publications, and these stunning new release versions are great too. 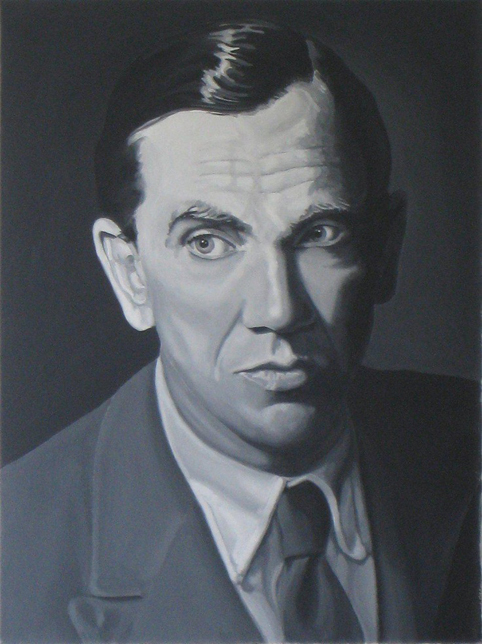 Nice portrait of Graham Greene - sorry I don't know who the artist is.